In case you need a dentist in Queens to help you with misaligned or crooked teeth, know that we’ve got you covered. We are a Invisalign service provider in Queens NY and we want nothing but to deliver quality dental services to patients. We have a long history of patients who have been able to improve their smiles and confidence through our Invisalign Queens services. Having misaligned teeth is a big source of embarrassment. It generally affects your quality of life and may as well dent your self esteem. There are some people who won’t be nice about it, but instead will bully you. This may adversely affect your social well being. If not corrected, it can mess up your business life as well. With Invisalign in the list of our cosmetic dentistry services, you no longer have to worry about your crooked teeth, as we can offer you the treatment to align your teeth the right way and give you a more beautiful smile. We can confidently assure all those who need Invisalign Queens procedures in Queens NY that by opting for our services, they get the best. Invisalign is better than the traditional metal braces in that braces can be quite uncomfortable and they come with numerous restrictions on what one can do with their teeth. Fortunately, Invisalign in Queens has made it possible to get aesthetically worthwhile results in a more comfortable way. With Invisalign, you can continue with your daily life normally without worrying much about the procedure. Invisalign are customized for every patient’s need. They are transparent plastic aligners worn to restrict the position of teeth until such a time that they heal that way. Once the treatment is completed, they are easily removed and the teeth will remain properly in line. 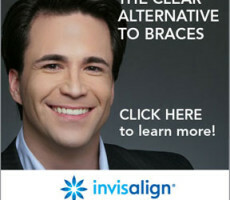 The beauty of Invisalign Queens is that it’s a very comfortable procedure, meaning that it won’t irritate you. Unlike metal braces, Invisalign is both easy to wear and to remove. Different aligners are used over time until such a time that the teeth have been properly aligned. The fact that they aren’t visible also means that your social life won’t be affected like it could being the case with metal braces. There isn’t a better way to get Invisalign performed than by reaching out to an experienced dentist in Queens like Dr. Rumack and Dr. Terranova.